As many of you know I just came from the first Tiny House Jamboree held in Colorado Springs, Colorado. 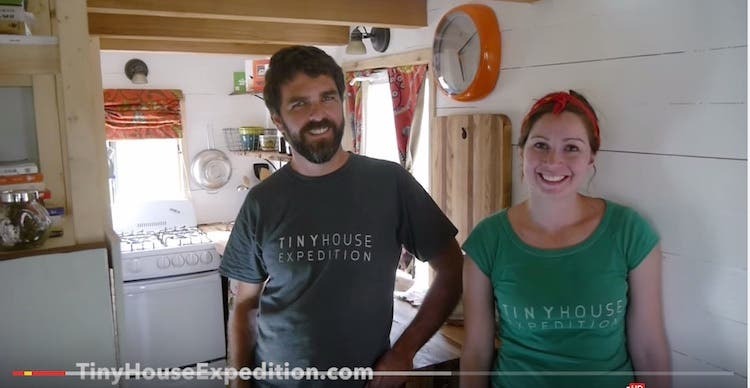 Derek “Deek” Diedricksen of Relaxshacks.com and author of “Microshelters” hangs with Kent Griswold (www.tinyhouseblog.com and Tiny House Magazine) as they tour the home of Christian and Alexis from “Tiny House Expedition.” The duo/dwellers talk about their documentary film vision, building their tiny house, working in recycled and salvaged materials, and show us the ins and outs of their simple, but cleverly crafted house on wheels. What do you heat with?